Planning on buying the digital copy of Super Mario Odyssey and wanted to know the download size? Super Mario Odyssey’s Download size is 5.7GB. 5.7GB while is not a big size, it will take up about 22% of the Nintendo Switch’s 32GB internal memory. This is why it is a very good idea to invest in a Switch SD card. The memory card is super useful, especially as you will probably be downloading more games in the future. Switch downloads can be pretty big as you can see with Splatoon 2 (3.2GB) or Zelda Breath of the Wild (13GB). You will certainly fill up the Switch’s internal memory after one or two of the popular titles. The thing is, MicroSD cards are not expensive at all. You can go with the cheaper 32GB MicroSD or 64GB microSD cards if you do not want to spend a lot of money. If you need way more space or plan on getting a lot more games, then the bigger 128GB microSD, 200GB MicroSD or 256GB microSD should also be considered. 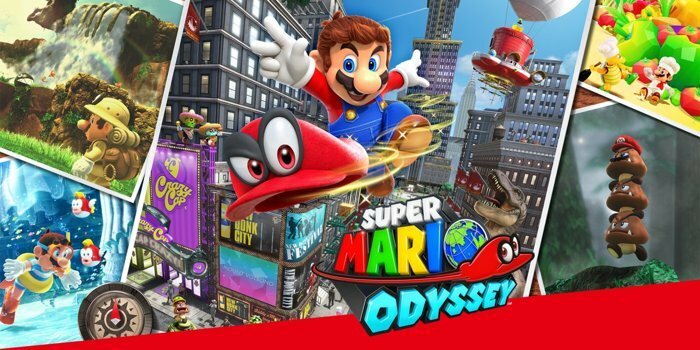 Super Mario Odyssey is a 3D platformer for the Nintendo Switch. It is another installment of the popular Super Mario series, where it follows Mario on an adventure across the world as he goes on a journey to save Princess Peach, who is captured by Mario’s enemy, Bowser.